I’m pretty stubborn. For years, SEO experts and professional bloggers have urged bloggers to switch to HTTPS—but I didn’t listen. Frankly, I didn’t know how to switch to HTTPS, and so I was worried it would take too much time and be a hassle. I FINALLY I took the plunge last week, and guess what? It took me about five minutes. Yes, if you want to increase traffic to your blog, rank better in Google search, and be seen as a professional—you need to switch to HTTPS. This blog post will give you all the details on how to switch to HTTPS—and it will make it quick and painless! In short: Because Google says so. In more detail, Google has announced that it will begin prioritizing HTTPS sites (the ones with the little lock by the URL) over regular HTTP sites. In other words, if you want your blog to rank higher in Google search and get more traffic—you better switch to HTTPS. Will Switching to HTTPS Make All My Old Links Break? Only if you do it wrong. That’s because when you switch from, for example, http://www.whereverwriter.com to https://www.whereverwriter.com, those are two different addresses. So what you have to do is set up redirects for every single page on your blog. I would leave that to a professional, like iMark Interactive, which I explain below. Will Switching to HTTPS Be a Hassle? No! That’s what’s crazy. I hemmed and hawed for MONTHS, and when it came down to it, it took me a few minutes to do it! If I switch to HTTPS, will my site have any downtime? Nope! If you follow this guide, there’s no need to worry about downtime. *This post has affiliate links, which means I get a commission if you choose to purchase through a link I provide (at no extra cost to you). Thank you for supporting the work I put into this site! 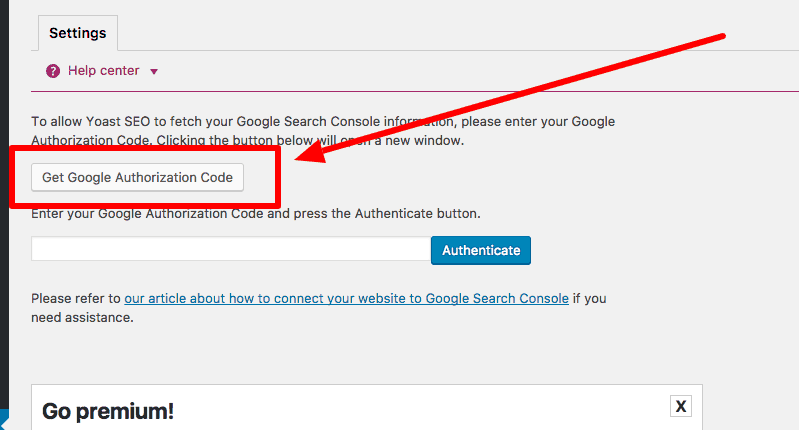 Step 1: Switch to SiteGround to get a FREE SSL certificate! SiteGround includes FREE SSL certificates with its hosting. If you don’t have SiteGround, you’re going to have to pay for an SSL certificate (which makes your site HTTPS), and you’re missing out on the best web hosting out there (in my opinion). Actually, I did hear that Bluehost recently started offering free SSL certificates, but only for WordPress. I do highly recommend switching to SiteGround regardless because their service is better, but it’s up to you. But here’s the reason you should switch to SiteGround if you want to switch to HTTPS: They give you a FREE SSL certificate! It’s called Let’s Encrypt, and it’s a free, open source SSL certificate that secures your site. Step 2 (OPTIONAL): Upgrade to Social Warfare Pro to keep all your social share counts! One of the biggest pain points of switching to HTTPS is if your blog shows its social share counts on its blog posts (such as with Social Warfare), you will lose this. UNLESS, you upgrade to Social Warfare Pro. I debated whether I wanted to do this because I didn’t want to spend any money; however, it’s a big deal to have social proof. The more shares you have, the more popular you look, and the more likely people are to share your content, too. In the end, I decided the small $29 a year was WAY worth it! It’s a very reasonable price, and it allowed me to keep those handy social share counts on all my blog posts! If you want to increase your chances of getting your blog posts shared on social media, upgrade to Social Warfare Pro BEFORE switching to HTTPS! This is so your social share counts don’t get wiped out in the switch. Step 3: Let Grayson at iMark Interactive to do it for you! This man is my secret weapon. He’s my go-to WordPress tech support guy. All you have to do is let Grayson to do the HTTPS switch for you. Yes, you could do it yourself via SiteGround, but switching to HTTPS can be tricky because it requires that you redirect all your old URLs. You do NOT want to mess this one up, so trust me, email Grayson. He is affordable, fast, and reliable. 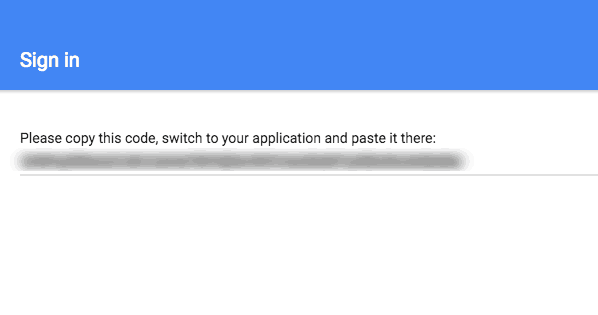 Want proof switching to HTTPS with Grayson is quick and painless? I emailed him on a Friday evening at 4:56, and he replied and had everything switched to HTTPS by 11:04 that same night! Let Grayson switch your site to HTTPS for you for just a $42 FLAT FEE! You’ll be glad you did! 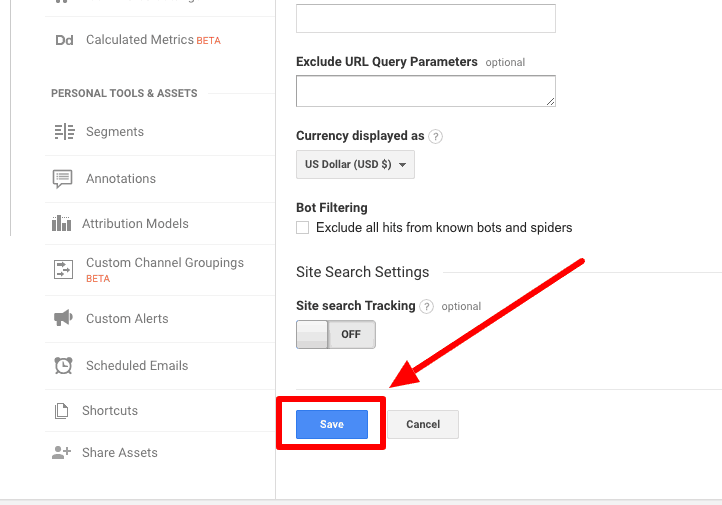 If you already have Google Analytics set up on your non-secure blog, it’s time to update your Google Analytics so that it can track your new secure blog. There are 3 components to this step. 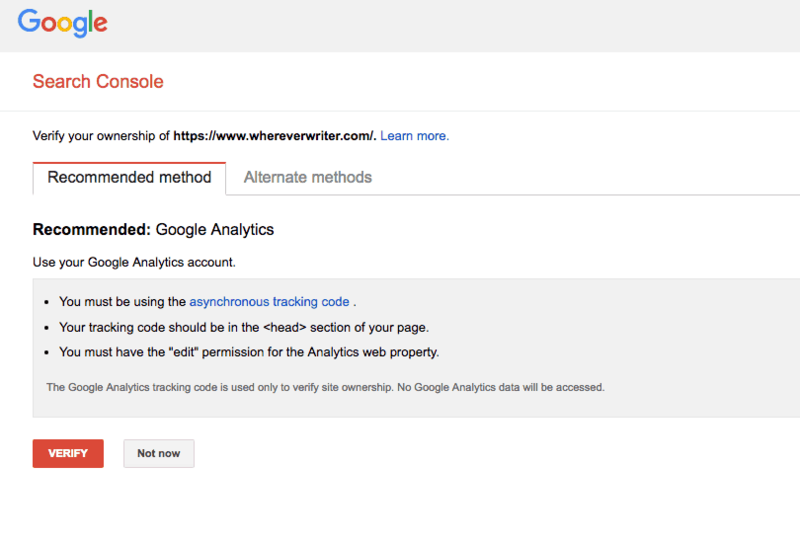 A) Log into your Google Analytics dashboard and click on “Admin” on the lower left corner. 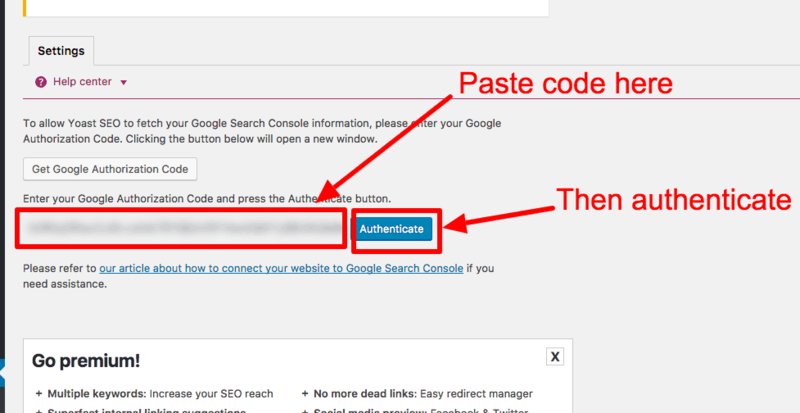 D) If you have installed the Yoast SEO plugin (free! 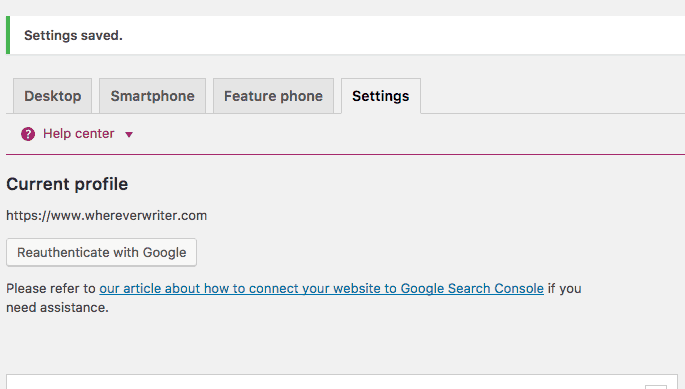 ), then log into your WordPress dashboard and go to the “Search Console” tab of Yoast. IF YOU HAVE NOT installed the Yoast plugin, then go do that first, and then come back here. F) A new tab will open. Click “Allow” to allow access. G) Copy the code that shows up. K) Congratulations! You’re all set! 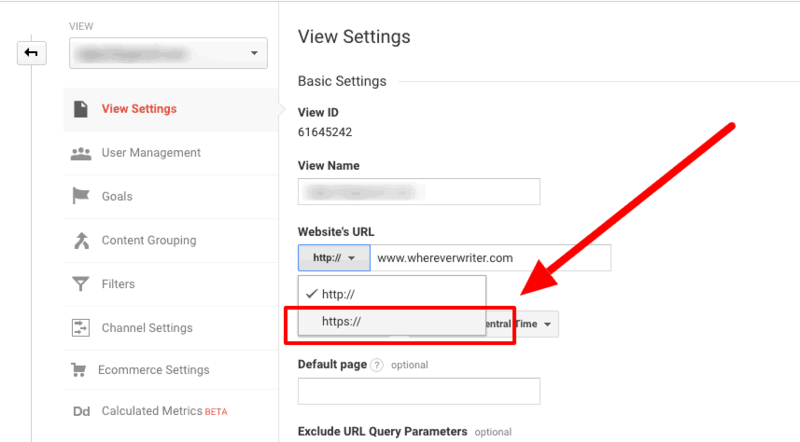 Now you can see the search queries people type in to find your new HTTPS blog. D) You should now see your sitemap submitted as shown below. You’re all set! All those months I spent dragging my heels, and in the end, upgrading to Social Warfare Pro and emailing Grayson to make the switch to HTTPS took me about 5 minutes! It really is easier than you think, and with this detailed guide on how to switch to HTTPS on WordPress, I hope you’ve got all your questions answered! 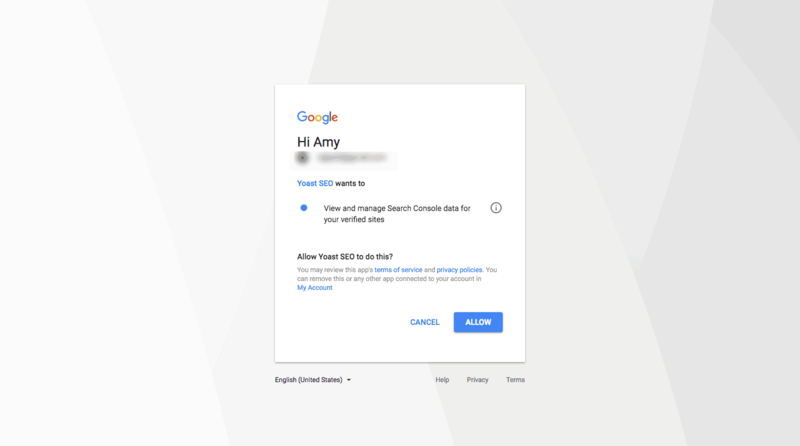 Don’t wait until Google penalizes your site for not being secure—switch to HTTPS TODAY to rank better in search and look more professional. 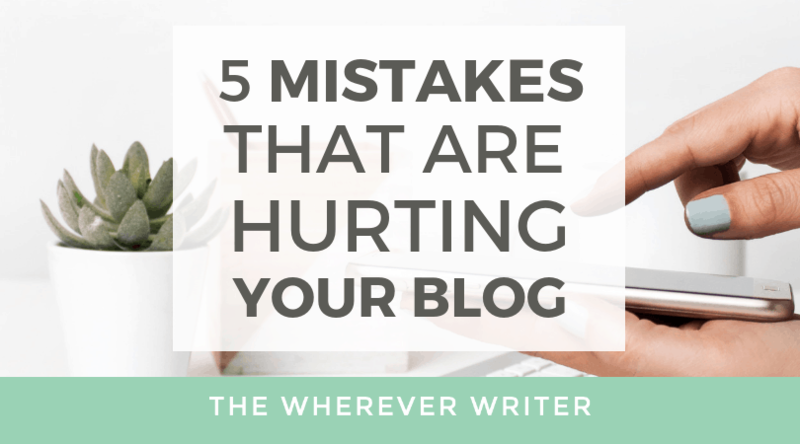 Are You Making These 5 Common Blogging Mistakes? 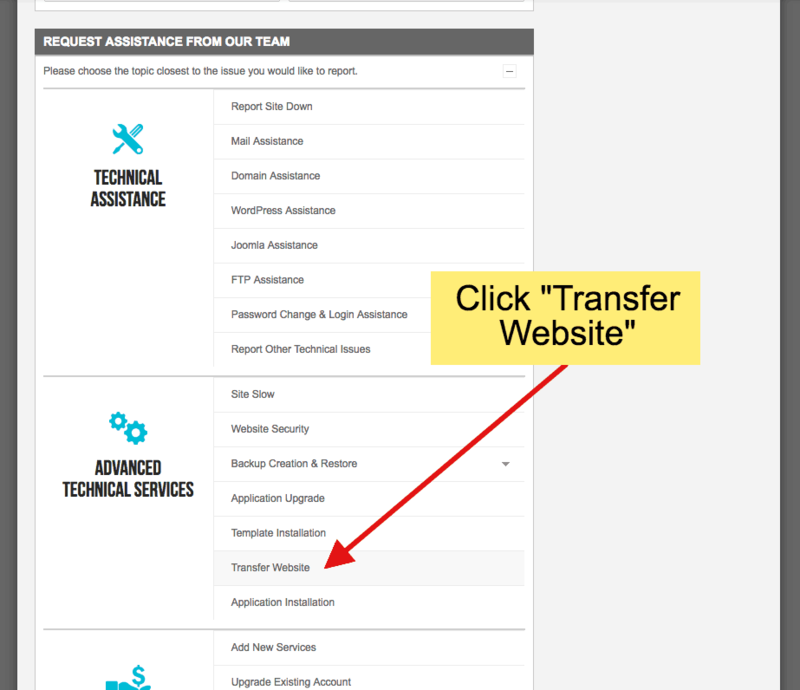 How to Transfer a Website to a New Host for FREE With NO Tech Knowledge! I saw this and was very concerned… then clicked on my site and realized I am already on HTTPS… oh the joys of being a new blogger! HAHA! I am sure people will be glad you shared though! Phew! Glad you made the switch to HTTPS. Thanks for the comment! Love this! I used Grayson too. :) Sharing in my weekly email Friday! 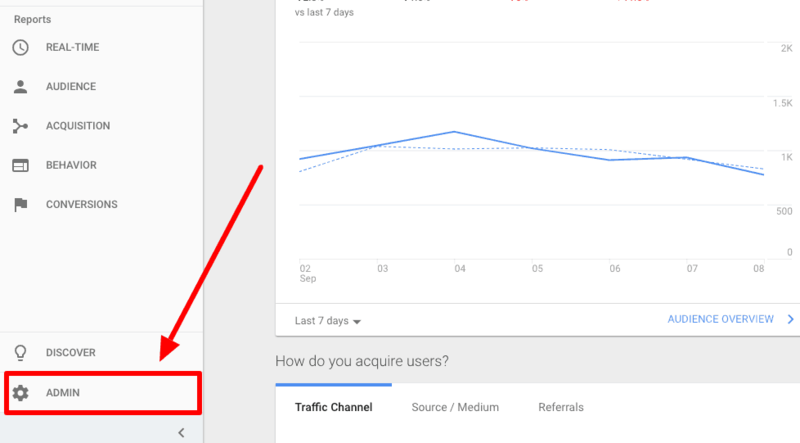 Great post, nice to see you covered a bunch of information including social share counts, google analytics and much more. Thanks for the shout out! I appreciate it and happy I could get you switched over! If I don’t have social warfare, will I lose the social shares that show up on my site when I switch to https://? I don’t use Social Warfare. I use Jet Pack. I really want to keep the numbers to show how many times that they have been shared! Hey Whitney! I’m not sure if Grayson will get a notification and see this, so I thought I’d chime in. Yes, if you switch to HTTPS without a paid version of Social Warfare, your social share counts get wiped out. There is another paid plugin that works the same way Social Warfare does, but I went with Social Warfare Pro because that’s what everyone seemed to be using. Again, the price is $29/year, so for me it seemed a low price to pay to be able to keep those awesome social shares. Thanks for your comment, and I hope the switch goes well! Let me know if you have other questions. I don’t use Social Warfare though. I use Jet Pack. Should I switch to Social Warfare then? I just checked Jetpack’s pricing and it’s $39 a year. On that basis alone, I’d go with Social Warfare as it’s only $29 a year. That is, IF you really want to keep social shares. If you decide it’s not important, then just realize you lose all the social counts when you switch to HTTPS without the paid plugin. And I’m not even sure Jetpack (PAID version) has the ability to keep your social shares anyway. Double check with Grayson. Hope that helps! Whoa! You do go into a lot of detail with this post! Well done! 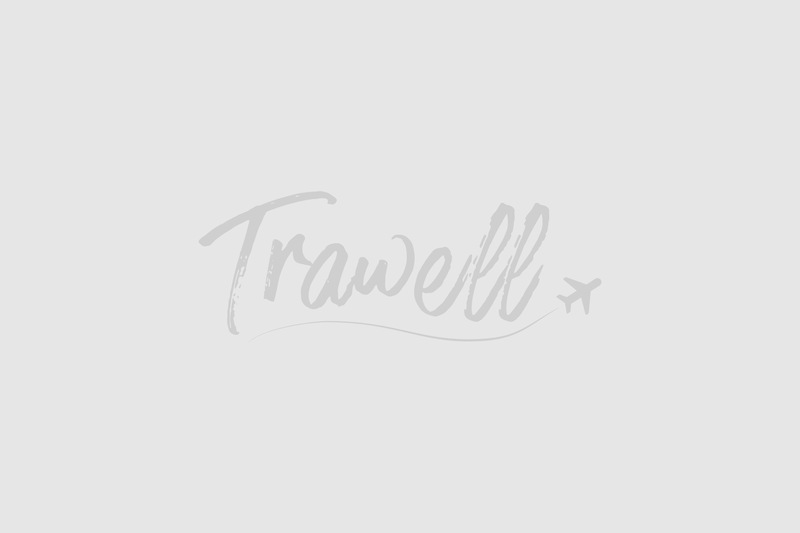 I am pleased to say that I also got ‘coaching’ and help from Mr Grayson Bell and the team at Siteground to switch my site over to HTTPS too! You can’t go wrong with anything techy from Grayson. He comes highly recommended and has saved me big bucks, a lot of tears, and my sanity so often. If I switch from JetPack to Social Warfare will I lose my social shares? Thank you for this great step-by-step article! I was able to follow right along with all of your print screens. It made it easy to change everything with Google. Thanks! !